We have all had those weeks. You know the ones…where not a single thing goes well. Where awful seems to be the word that describes most things, if not all things. Last week would qualify as one of those weeks. Awful, awful, awful. But in just a few short days God has provided some relief…some peace in the storm. I’m afraid I might be struggling a bit more than I ever have. I’m finding a sense of hopelessness invading at times, and it is disarming. Even as my head knows that I serve a loving and faithful God who will indeed make good out of everything, I struggle. After 6 years of this nutty life, I’m just tired. The last several months have been very difficult…in some ways more difficult than anything else in the past several years. I’ve mentioned all the changes before so I won’t bore you with a litany of my challenges. One of the biggest thing has been feeling so very alone. I’m surprised how alone I can feel surrounded by people. I continually remind myself of the good that has come from our move here. How having this job is wonderful. How my children being in great schools is wonderful. How having a new beginning is wonderful…I think. But…there are so many buts. The other night I spoke with a friend and poured out my heart. How deeply unhappy I feel right now…how alone and hopeless. How I desperately want to be near my dear friends who now are far away. How I desperately want to make new friends but cannot find the time to spend a moment away from work or family or school. How things I thought would be blessings, safe places, and peace of mind seem like anything but. There is that dang but again. This friend told me that I need to figure this out with God – that no one else can help me. I know that’s right…getting my head and heart in the best place can only happen with God. But I have to be honest and say that I really want people in my life… I had that. I left that. This is a hard place and sometimes I wonder if I have made a huge mistake. But I just have to believe God led me here. Usually, if not always, the reason is to bring me closer to Him. How I desperately want to be closer to Him. But I can’t seem to find the time like I used to. When life changed 6 years ago, I stayed up late and got up early to spend time in the Word. I was so much more on top of things. I just feel almost frantic for sleep…which is always in short supply. I can’t seem to get everything done in a day. Sleep deprivation is merely a time thing. There just isn’t enough time for sleep. In the past I would have advised someone to just forego a little of that precious sleep for time in the Word. I would still say that is ideal, but now that I’m here in this place…this sleep deprived, overwhelmed, way-too-busy, frustrated single working old mom place…I don’t know how to do it myself. A few weeks ago I managed to get to bed at 9:30, mostly because I was sick, but I woke up at 5 and had an hour to study and pray. It was a great day. I had that peace that passes understanding thing. I know that if I get time in the Word I do life better. If I pray, I have perspective. I have to figure it out. I just have to. I know I’m going to come back to that place of just do it. Just pray already! Pray and ask God for His leading, His provision, and His strength. Golly, it’s easy to say that…easy to say I’m just gonna pray more and get in the Word more. I think if I look back at my other blogs, I’d find myself saying that A LOT! It’s my life lesson – pray, seek God and rest in Him. I’m finding it difficult, but God can help me. What a blessed reminder that even though I struggle so in my life, God still shows me His love. He loves me. Flawed, sinful me. How thankful I am that I can repent of my sins…of my wallowing and wailing and whining. Recently, I heard about 4 different people in various venues discuss repentance. I think I need to consider it more. I’m praying that God will open my eyes to areas in my life in need of repentance. I’m praying that God will give me strength to stand firmly against temptation and to withstand trials with a steadfast spirit and a gentle heart. I’m praying for change…godly change. What a glorious reminder that somewhere in this mixed-up mess of a life, God is going to bring about good. I have to keep reminding myself that that promise doesn’t mean that I will see the good right away…or maybe even ever. But God, He can say it. He can remind me a thousand times and it is always welcomed and comforting. I have to get back to trusting Him for the good I can’t see. I’m still going to pray for glimpses of the good for my kids and me, and that our faith will be encouraged by the way God uses this difficult time in our lives. Oooo, this verse got me. Jesus was talking to the Pharisees who were lovers of money and were ridiculing Him. I’m sure there are many ways to apply this verse, but today God has reminded me that He knows my heart. That no matter how I try to justify my behavior, He knows what is really going on. He always knows more about what’s going on in me than I do. I very rarely understand what or why or when or whatever…I confuse myself. But God knows me…and He loves me with an everlasting love. How in the world is that possible? Another thing I can’t grasp, but am so thankful to know. God knows me and loves me still…I don’t know if I will ever truly grasp that, but I see it…I experience it. This week started off as a continuation of last week which was one of THOSE weeks. And I feared for my sanity, but God did a blessed thing for me. 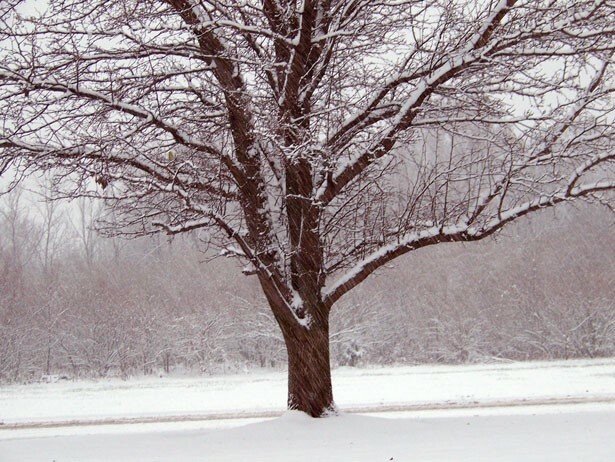 THREE snow days! Three days to catch up. Three days to sleep as late as my little ones would allow me to sleep. Three days to wear jeans and slippers. Three days. What a blessing! And during these blessed snow days, I’ve had the opportunity to have conversations with friends from far away. Friends who have encouraged me and even understood the depth of my emotions. Friends who have offered prayers and comfort. I’m so thankful for godly women in my life. 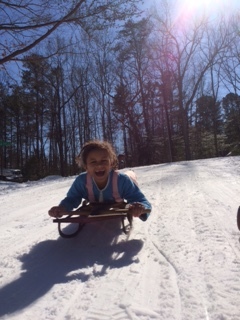 And I’ve been blessed with time with my children…sledding, snowball fights, and Uno. And I’ve been blessed to spend time in the Word. Much needed time in the Word. I hope I can start good habits in these three days. Sleep and study. So awful weeks beware….I’m acutely aware you will come…probably more often than I’d like…and I’m not going to face you unprepared. Those weeks…or even days…are opportunities to seek God. And seek Him I will…sleep deprived or not. Next Article Do I ever have a good week? I love your honesty!! Just a suggestion…..check out your FB friends and see if any live close to where you are now. I live in Northeast Ohio. Reach out to us, Sue!! Some may be closer than you think!! 🙂 God Bless you!! Great idea! Thank you , Robin! I need to figure out how to make a Facebook group for single moms too. Been on my heart to do that for years. I sent you an invite for a group on FB called Sisters In Scripture. It’s awesome!!! Tomorrow is the sixth anniversary of the day my husband told me of his affair. We have walked this road the same length of time. My husband stayed. In that our stories differ, but in so many ways they are the same. Just because he stayed with us, didn’t make all the pain, anger, hurt, doubt go away. My children do not know what their father did. I can’t explain to them the reason for my tears, for the penetrating ache. I carry it alone. And I feel very much alone, even in a room full of people. I understand what you’re saying, and I feel your struggles. It seems like if we know God is the answer, He should make it feel better. I kept waiting for him to make it feel better. I guess what I’m learning is that I can’t rush any of this process, but everyday I can give God my pain and know that He feels it with me. Sue, blessed one, please know that you are not alone. This is not an easy walk we’ve been called to, but we walk it, step by painful step, until the day the Lord removes the burden from us, one way or another. One day He will wipe away every tear, and our journey will have been worth it. I promise you that. Thank you for sharing and for the reminder that there is always hope! Thank YOU Sue!! You could not know how perfect the timing of your email/blog was for me!!! You spoke to EVERY single point I myself am struggling with these past few weeks!! Amazingly, just this morning, before reading your blog, I was slowly coming to the same conclusion! For me, in my loneliness away from family and friends, I had become dependant on my lifecoach….looking to her to give me way more than she wanted or could handle and depending less on my Heavenly Father! When she, understandably, shut me down…gently but firmly….I felt like I had nothing left, no one to really trust in! Slowly I began to realize there IS One who is NEVER “on the clock”, ALWAYS, quietly waiting for me to just cue Him in! He is there no matter what, even if I cannot write a check. He ALWAYS has time to listen, and if I turn whatever troubles me over to Him He NEVER fails me!! For me it has been 6 years since my ex declared his love for another (my best friend at the time) and three years since our Divorce finalized….all on Valentine’s Day!! So when my ex cut the last tie by releasing our Condo to me (part of Divorce agreement) and moved out (this last Valentine’s Day) it left me with a renewed spirit of loss….made even more difficult by him dragging 2 of our 3 boys (grown with families of their own) into it…not to mention a few mutual friends. Yes this is a lonely road….but when I think about Jesus time on this earth, I realize, here was a Perfect Man, sinless, loving, gentle, kind…..and yet his closest followers didn’t support Him in His greatest hour of need! So who am I to expect more….from humankind around me?!! Me Again….so in my determination to start TODAY with purposeful God Time…I opened my fave devotional “Jesus Is Calling” by Sara Young….and here is what I read!! Truly a GOD thing…right?! You are feeling weighed down by a plethora of problems, both big and small. They seem to require more and more of your attention, but you must not give in to those demands. When the difficulties in your life feel as if they’re closing in on you, break free by spending quality time with Me. You need to remember who I am in all My Power and Glory. Then, humbly bring Me your prayers and petitions. Your problems will pale when you view them in the Light of My Presence. You can learn to be joyful in Me, your Savior, even in the midst of adverse circumstances. Rely on Me, your Strength; I make your feet like the feet of a deer, enabling you to go on the heights. Have a TERRIFIC new beginning!! WOW!!! Thank you so very much!!! I love it! God is so very good! Dear Sue-Again you voice the right attitude for your current troubles.I do enjoy to read your writing but do not enjoy your pain in any way. Maybe you could ask yourself what would make you more happy(What you think) and then ask the LORD.pick the most important at a time until the Lord lets you know HIS WILL.sometimes I am happy years later when I WAS NOT GIVEN WHAT i ASKED AT THE TIME.i like to be like PAUL-HAPPY IN EVERY situation but this is not easy for everyone.